As a concerned mom, I am very aware of the challenges of childhood obesity with my own kids. I’ve struggled with my weight for as long as I can remember and it wasn’t until my adult life that I’ve been successfully able to keep off 147 pounds. My husband has had the same challenges as well. 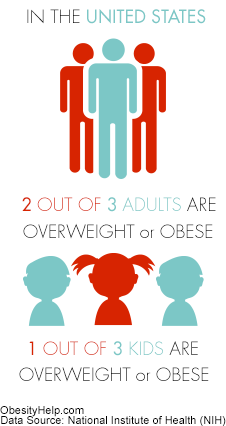 Studies have shown that kids whose parents are overweight or obese are at much higher risk for becoming obese themselves. A study in the Journal of Pediatrics found five risk factors for childhood obesity. The main risk factor was parental obesity. Thankfully, I read these statistics when my kids were babies. I was aware and determined to do everything I could to make sure to introduce healthy eating and activity into our family. Many kids today spend hours in front of a screen. Their screen time often includes watching television, playing video games, interacting with social media, and cruising the Internet. During this sedentary time, kids are also seeing unhealthy food and drink advertisements. The combination of the sedentary behavior and the increased likelihood of unhealthy snacking during that time is a very concerning risk factor for obesity. In a company, leaders are the examples and establish the standards for staff. The same dynamic exists for families. Parents are the role models, the example for their children, and set the standards. As parents, if we eat healthy and incorporate activity into our regular routine, our children see that and it becomes the norm for them too. Our parental influence has a huge impact for behavior and habits in our kids. Ilan moved enough to earn 18,000 Zamz and get a Wii! One of the most exciting parts about getting a new Zamzee is the realization that you can earn a free Wii or Xbox by collecting Zamz. Rewards are a crucial part of Zamzee’s game design to get kids moving. This type of extrinsic motivation inspires kids to make a behavior change and kickstarts their physical activity. As they work towards their extrinsic reward (whether it’s a small plush toy or a Wii), Zamzee fosters kids’ intrinsic motivation by making moving fun and social. The end result is kids get in the habit of being physically active. It’s an approach grounded in Deci and Ryan’s theory of behavior change and HopeLab’s research on Zamzee, which is why we know it works. All that being said, every now and then it’s nice to meet a real user that’s benefited from Zamze. 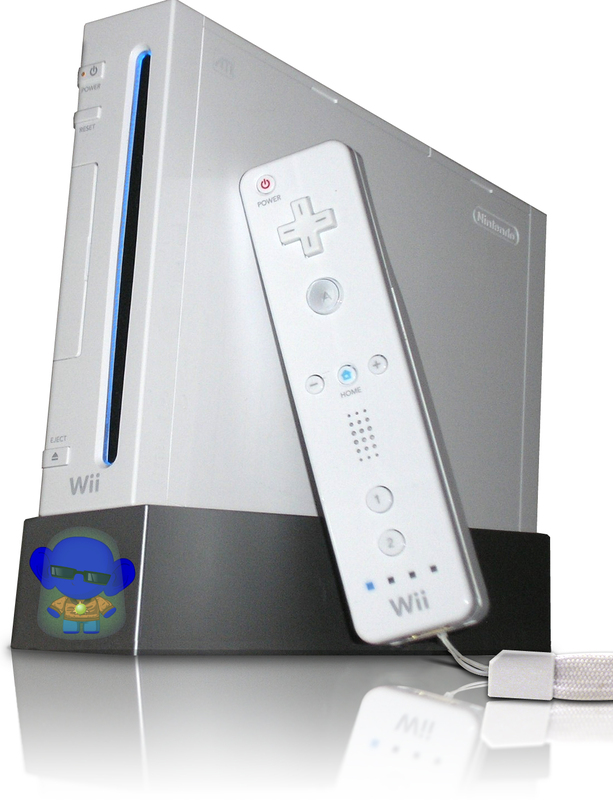 Ilan C., a Zamzee user from Greenfield Hebrew Academy, is the latest Zamzee user to receive a Wii for all his moving. We interviewed Ilan and his parents to find out just how Ilan earned a Wii, and how you can, too! Zamzee: Hi Ilan! Congratulations on getting a Wii! Tell us, how long were you working towards earning the Wii? Ilan: I was working toward the Wii for about 6 months. Zamzee: Wow! That is a really long time and a LOT of moving! How did you stay active to earn enough Zamz? Ilan: I did baseball, football and I rode my bike, took walks and ran too. My favorite activities are playing outside with my dad and riding my bike. I played Little League as a kid until I was almost 13 years old. I was atrocious at first and hated the game. Really, I detested playing. But as I got older, I came to love baseball. Now it’s a lifelong passion. My oldest son Jason, however, is a bit different. Jason will watch the occasional Yankees game and even enjoys going to the stadium with me. He plays Super Mario Sluggers on the Wii all the time. But actually going outside to play baseball? That’s a whole different story. I wanted Jason to share my passion for baseball, so we signed him up for T-Ball. When the season started, he really wasn’t very good. He understood the rules. But throwing the ball or swinging the bat just weren’t his strengths. That first year, I was just a dad cheering him on from the sidelines. It was a tough season. The combination of his lack of skills mixed with the tremendous amount of “sit around and wait” time, just made the whole thing a painful experience for Jason. If your New Year’s resolution is to get your family active, take a step back before you attempt to go 100 mph forward and read the 10 most important things we learned in 2012 about moving as a family. 1. Physical activity is more important than weight loss. Being active improves both your physical and mental health, and how your body feels is more important than how your body looks. Especially when you’re a kid. 2. Finishing first is not the most important part of running a race. So when your video-game-loving kindergartner wants to run a one-mile race, make sure you believe in him. He’s going to finish. About a year ago I signed my daughters up for a 5k race and found out about a local company called Zamzee. Having spent the better part of the last 12+ years trying to keep my three darling daughters healthy and physically fit, I was intrigued by Zamzee’s claim to engage kids in a more active lifestyle. Days later, we had ourselves 3 shiny, pink meters. Unsure of what to do, I put the girls (then aged 7, 10 and 12) to work exploring the Zamzee.com website and signing up their meters. Almost instantaneously, the way my kids viewed physical activity changed…for the better. Let me backtrack and age myself a bit first by saying I grew up in the era of riding bikes to school (helmet-free of course), playing at the local park with friends until dusk, swimming in the neighbors pool and heading home, on my own, before the street lamps went on. I didn’t play on 3 different teams year round, I didn’t watch what I ate, and I was a healthy size with little or no effort. When I started a family of my own, I never expected to struggle to find the time and energy to keep my family healthy, fit and active. Kids today exercise in a structured and organized form. There is no walking to school for my children. Even riding bikes is an effort that usually requires loading 3+ bikes into a too small car and driving someplace remote and safe to do so. In my attempts to keep my kids active, I pull my hair out with complicated daily carpools to and from a half dozen different athletic fields, and I find myself spending hours in my car. So when these shiny little Zamzee meters entered our world, I had no idea what I was in for.